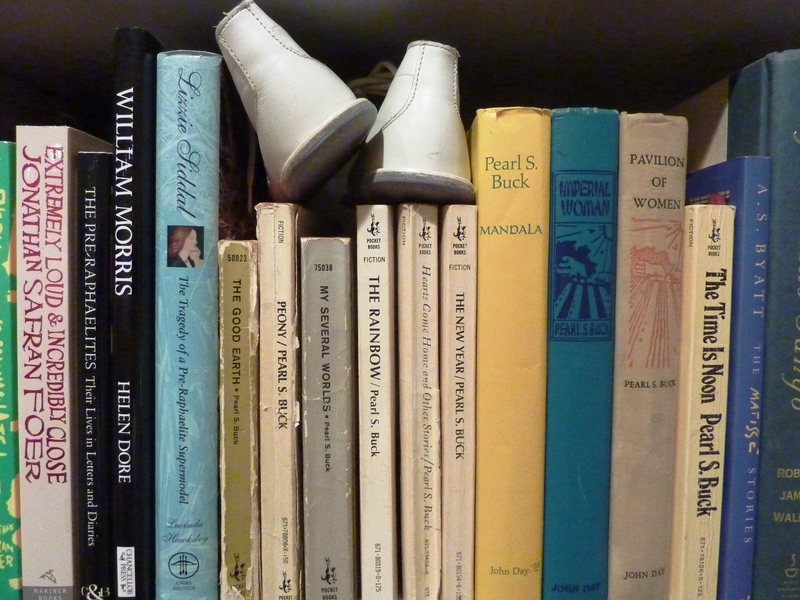 Those are Cayley’s baby shoes perched on Pearl S. Buck’s writing! I read The Good Earth while in University and then just had to read MORE! Enough time has passed that I might feel differently about her writing, but I’m guessing that the moments that spoke to my heart in the past would be opened up more to me. Given that I’ve been a mother, struggled to be a good wife, suffered loss and had to dig myself out of the ‘dark holes’ that I slipped into, I’m just thinking that Buck’s words would mean even more to me. This extensive list was gathered up from Wikipedia.